I think it’s difficult to smoke cigars very long without having a few questions that don’t seem to ever get asked—or answered, for that matter—at your local B&M or on any of the cigar websites and podcasts. Speaking of catalogs, why is it necessary to print and mail them so frequently when about 90 percent of the content is the same time after time after time? Then there’s the matter of boutique cigar manufacturers. In an industry steeped in Latin culture and language, why use a French word to describe the smaller cigar makers? It’s somewhat similar to the way ring gauges are calculated and the lengths of cigars are measured. While ring gauges seem to be universally stated in measurements of 64ths of an inch regardless of the country, most of the rest of the world uses the metric system. I know it’s cheaper, but how can humidor makers—even those that turn out the flimsiest, poorest boxes imaginable—continue to include floral foam as a humidification device? Hey, charge $1 or $2 more and put beads in that will actually work! Finally, I submit the photograph (above right) from a recent cigar company catalog. I would have loved to have been a fly on the wall at the meeting where someone OK’d this picture as a fine example of their wares that would surely make customers want to part with their money. LOL! Great post, George. Almost sounds like you're channelling Andy Rooney. You know, I must admit I thought about Andy Rooney when all these things started coming to mind! This is a fun post, George. Thanks for your creativity. You make a good point about the word "boutique." I've always thought they should be called "tabacaleritas," since "tabacalera" seems to mean "cigar maker" and adding "ita" to the end of a word in Spanish makes it mean "small." Just a suggestion from a guy that took six years of the language and couldn't speak a decent sentence. I'll chime in with what I hope is a little insight. I used to work in a large cigar store, and we stocked everything from bundles to Opus X.
I too often wondered about the low-end no name bundles, or even boxed smokes that retailed for a dollar or two. We had a number of customers that never strayed from that corner of the humidor, and they ranged from police officers, to retirees, to the local weatherman. It seemed to come down to people who smoked one or two a day, and couldn't fathom spending more for a cigar (regardless of whether they could afford it or not). For some of these guys it was all they could afford, but for most it was the bargain aspect. 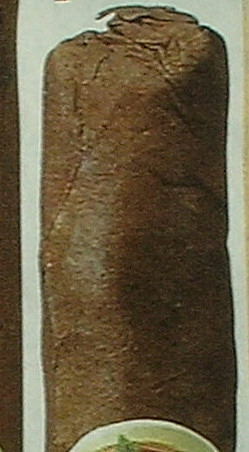 As for "boutique cigars," that term is used simply because it needs no explanation. "Boutique," though French in origin, is widely used in the English language to mean small, but of high quality. From boutique clothiers to boutique wineries to boutique hotels, it's simply the simplest, and easiest to understand way to say small batch, premium cigar maker. As for the other questions, well the humidification beads just don't seem to be as widely available yet as the foam alternative, increased frequency of catalog publication likely results in increased order, and the picture of the capless stogie probably slipped through. Cigar catalogs seem to be somewhat hastily thrown together. Poor Photoshop usage is the norm, but I also wouldn't be surprised if it's just a poorly made cigar. great post george! paul, i dont think you get the point. why argue every point george makes. he is 100% on point! Not trying to argue. The simple fact is there are questions in George's post that actually have answers. I was merely trying to offer some help. If you want to take that as an argument, fine, but the point of blogs like this is not only to inform and entertain, but to allow any interested party to chime in with their experience, knowledge, or opinion. It's not that I "don't get the point." Sometimes questions intended to be rhetorical actually have legitimate answers, and if we ignore them, then we are missing something (like that answer to the question). George's fun blog or Paul's serious rebuttal? I vote George, but Paul…man that is some good stuff too and edumacational.